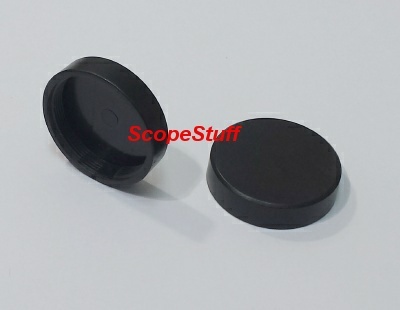 Fits the threads on the rear cell of the ETX, hard black plastic. For the Classic ETX 34.6mm thread visual backs. Fits the new Meade Astro ETX-90! Does not fit the C90! $5.00 - #ETXC - ETX-90, 105 and 125 Rear Cell Threaded Cap, Black Plastic.